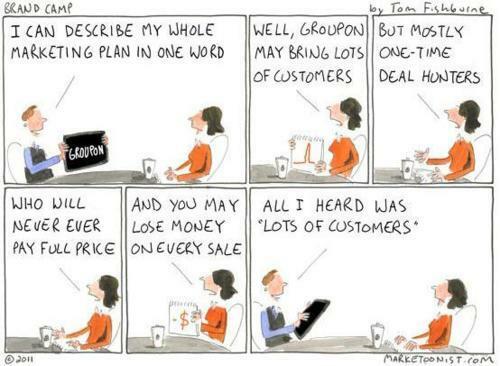 My previous post was about Groupon, and I couldn’t help but notice not one but two cartoons by the very insightful marketing cartoonist: Tom Fishburne. Click on any of his cartoons and you would get a write up with insights coupled with humour, with a generous dash of reality and seductive topping of realistic sarcasm. 1. Democracy is now online and is becoming an unassailable online force at that. 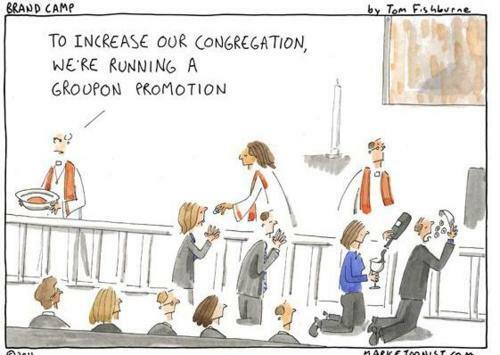 Marketers better take note! The key words? Value Sales, Volume Sales, Brand Equity and yes good old Loyalty.